The train from Mbeya finally arrived only 4 hrs late at 6pm. We then proceeded to sit at the station for another 2-3 hrs with no other explanation than "this is Africa". The entire journey ended up taking 34 hours (was supposed to be 26 so all in all not too bad) and saw us arriving at midnight. A rip-off taxi driver tried to charge us double the agreed price on arrival at our hotel and was only the tip of the iceberg that is scam city! 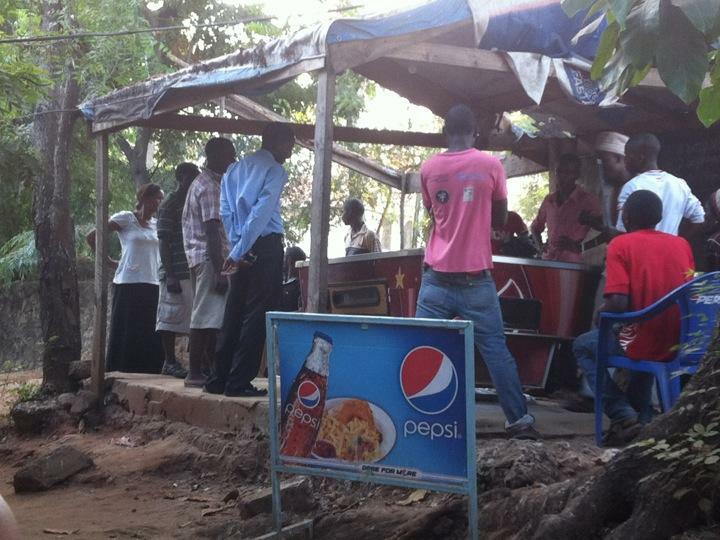 Dar is an interesting town, with a mix of Indian and African cultures, religions, shops and food. Despite this, it was ruined for us by touts, scammers and rip-off merchants out for a quick dollar. Not to mention the theft of Mads' hiking boots from our hotel room (we were then accused by management of losing them before we arrived). A couple of days was more than enough for a cheap haircut, a bit of essentials shopping and time to buy ferry tickets to Zanzibar. Unfortunately the police want a $50USD bribe for an official report of the theft, but it turns out we can get a second hand pair of boots in Arusha pretty easily, so our Kili dream is still close on the horizon. Glad to be out of Dar and enjoying some sundowners on a rooftop bar in Stone Town, Zanzibar.